I was feeling moderately creative tonight, and while searching for my wish list post for today, I added several books to my Amazon wish list, but nothing really struck me as important enough to warrant its own post. Until the Build-a-Zombie calendar from thinkgeek.com. 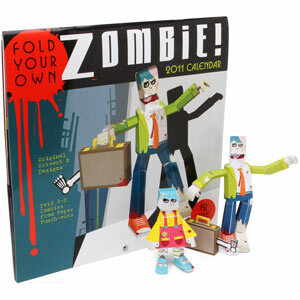 I'm a zombie fan (no, I'm not really sure how that happened) and this calendar looks like quite the coolest thing I've seen all day.